Click here to read a recent Boston Globe article that features Maggie, with several pics of her at work at Christ the King. As you are likely aware, Newtown suffered another tragic loss with the suicide of Dr. Jeremy Richman at Edmond Town Hall Monday morning, March 25th. Dr. Richman was the father of a 12/14/12 victim, Avielle, and a founder of the Avielle Foundation which seeks to prevent violence through neuroscience research, community engagement and education. That Monday afternoon Maggie was invited to the Newtown Resiliency Center to help comfort anyone seeking emotional support at the Center. She and her handlers spend several hours there. On Tuesday morning Linda Gollenberg arrived early with Maggie to their regularly scheduled Sandy Hook School bus greeting, so they were able to visit with teachers and staff before the start of school. The teachers and staff were very appreciative of Maggie’s hugs and our support. Tuesday mid-day Maggie spent a couple hours at Newtown Middle School by special invitation. (In addition to her regular Wednesday NMS visit.) That week Maggie also had her regularly scheduled visits to Hawley Elementary School and Newtown High School, and her Friday SHS visit. Especially at a time like this our comfort dog ministry opens the door for Christ the King to provide support to our community. Beyond our community, Maggie and her handlers Bev Thompson and Lori Flandreau took a road trip to Trinity Lutheran Church in Hicksville, Long Island, NY on March 3rd. Trinity will be acquiring their own Lutheran Church Charities comfort dog in May, and invited the local LCC comfort dogs to a “puppy shower” in anticipation of their new arrival. A little closer to home, Maggie was invited to attend Danbury’s Alternative Center for Excellence High School Career/Wellness Fair on March 20. Handlers Katja Pieragostini and Bev Thompson told the students how Maggie provides comfort, and let the students partake in Maggie’s comfort-giving, as well. Circling back home, we once again had a Three Dog Night at Sandy Hook School’s spring book fair evening on March 14th. Maggie, and Immanuel Church’s two comfort dogs, Addie and Leah, all attended the book fair so children could read their new books to the dogs. The dogs love listening to good books. All that was in addition to Maggie’s regularly scheduled visits, including to three hospitals and an adult day care. March was a busy month for Newtown Comfort, and we’re thankful for the opportunity to support our community and beyond. 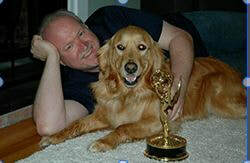 ​Be sure to watch "Wags n Tales": an Emmy Award-Winning Documentary produced by former member Ken Fay featuring Maggie in action. In the past month, Lutheran Church Charities' K9 Comfort Dogs have been helping with the floods in the Midwest, as well as returning to Great Mills High School in Maryland on the one-year anniversary of the tragic shootings there. Recall that Maggie was there in the immediate aftermath and on the six-month anniversary. For the full LCC Newsletter for April, click here.